Juncker: "Whoever lies for domestic gain doesn't belong to the EPP"
Viktor Orbán based his campaign on demonising migrants. The situation of Viktor Orbán within the European centre-right family worsens. European Commission President Jean-Claude Juncker accused Hungarian Prime Minister Viktor Orbán of spreading lies for domestic political gain. The EC’s President added that such politicians do not belong in the European People’s Party (EPP). “Whoever lies in European affairs for domestic political reasons, has to ask himself whether he still wants to belong to the EPP club. I think, they are not one of them anymore,” Juncker told German broadcaster ZDF. 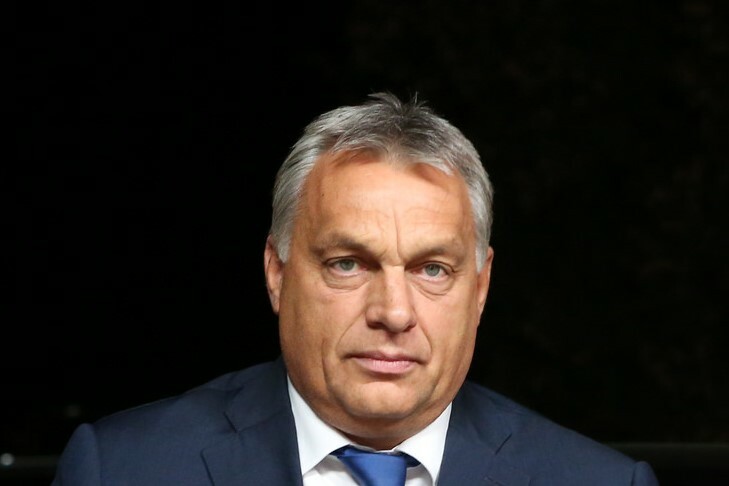 It is not a secret anymore that the majority of EPP leaders, even the tougher ones, wants to punish the Hungarian Prime Minister for his superficiality and audacity. On Tuesday the leader of EPP in the European Parliament asked Orbán to apologize for his criticism of the EU. Otherwise he said his party, Fidesz, could be suspended from the Group. Viktor Orbán didn’t realise in time that he irritated many within the Christian Democratic family. The anti-immigration and anti-Islam hysteria that marked his political campaign during the last years is in direct contrast with EPP’s policies. What is more, Orbán attacked directly the core of EU values while he established an authoritarian regime at home. In the meantime PM’s entourage is under investigation for scandals related to EU funds fraud. The punishment of Orbán seems necessary since he tried to export his political views in other EU member states. The disease of anti-EU rebellion -sponsored by the EU funds- must be stopped before it becomes an epidemic.